How do you capture 150+ years of performance art and institutional history into a comprehensive, visual digital database? What role does design play in chronicling ephemeral art? 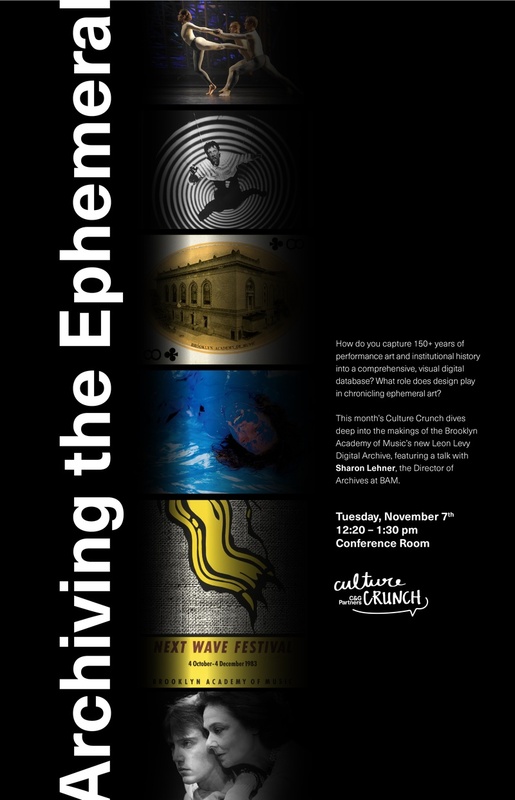 This month’s Culture Crunch—Archiving the Ephemeral—dove deep into the makings of the Brooklyn Academy of Music’s new Leon Levy Digital Archive, featuring a talk with Sharon Lehner, the Director of Archives at BAM. 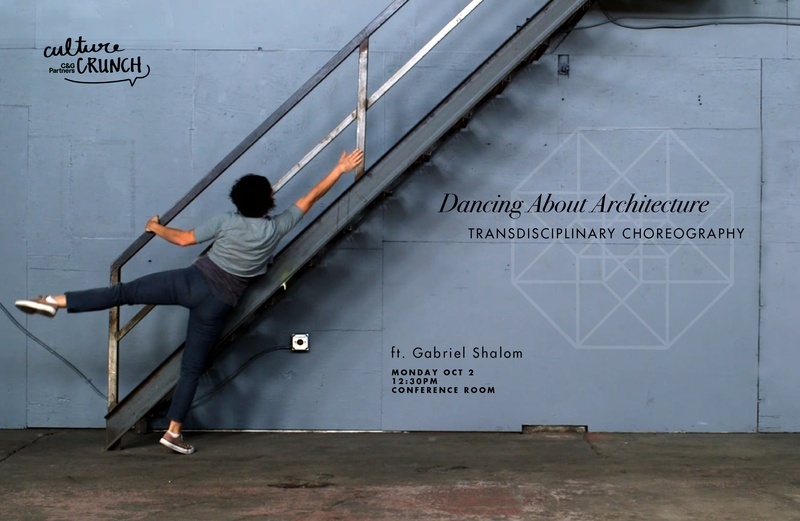 Culture Crunch is C&G's incubator series for the studio mission: design for culture. As an incubator for C&G's mission, design for culture, our monthly internal workshop series, Culture Crunch, explores big questions. What is culture? 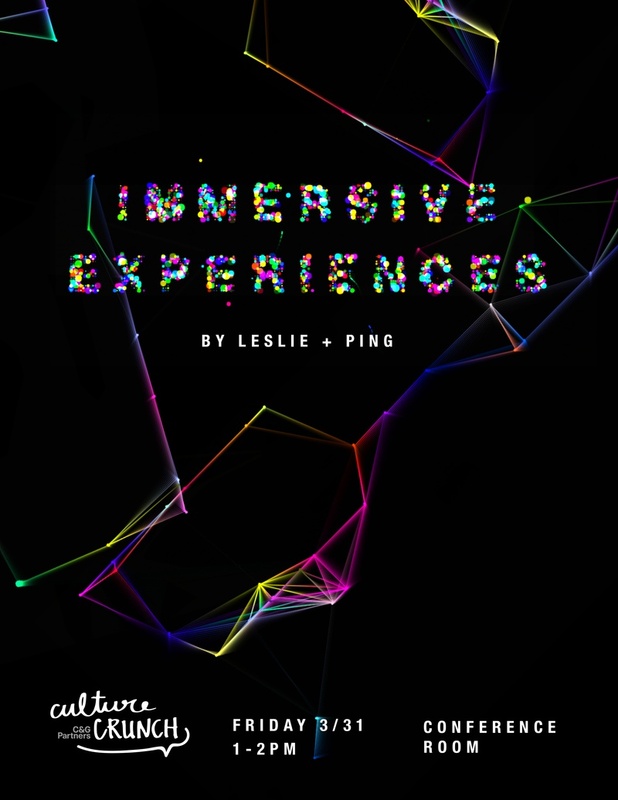 How does culture unlock relevance? What relationship do people have with culture? How can cultural strategy help a client’s bottom line? 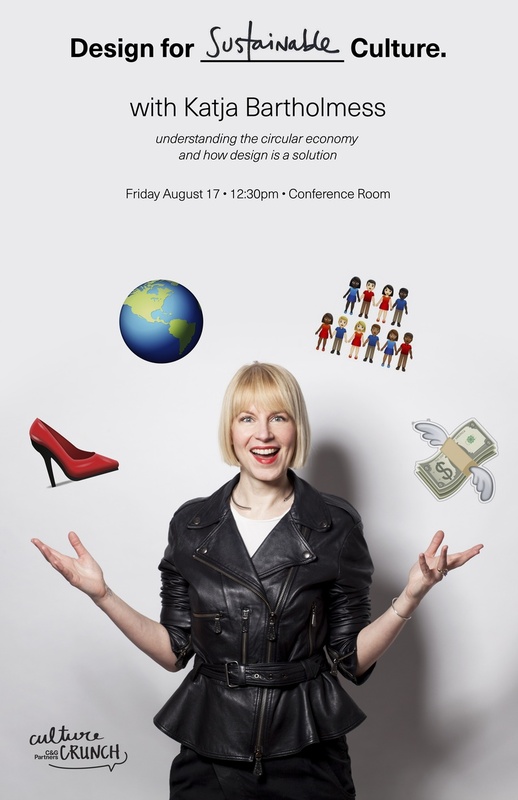 In our August session, these inquiries were answered by guest Brand Stategist Meg Asaro and Design Researcher Anthony Alvarez. 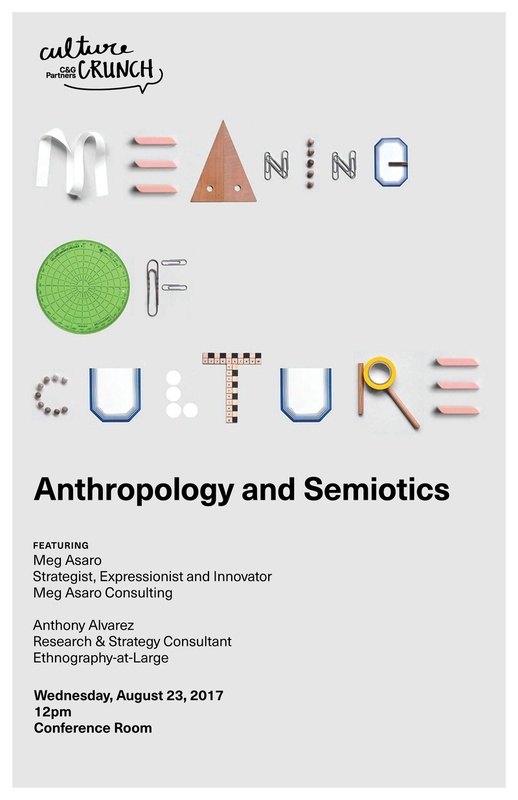 The lively presentation explored the ecosystem, identity, and aspirations of culture, as well as how semiotics leads to meaningful communication. Many thanks to Meg and Anthony for an inspirational hour. Culture Crunch is C&G's ongoing monthly internal event series, incubating the studio's mission: design for culture. For June, C&G content developer and historian Will Twersky shared an important, but mostly unknown, aspect of design history. Will presented the history of the Ghost Army—the World War II battalion made up of designers and artists including Ellsworth Kelly who used their skills to save Allied lives. Peppered with examples of design decoy, the presentation was followed by a group exercise in which the C&G team brainstormed life-saving designs for wartime culture. When is a design studio an art gallery? 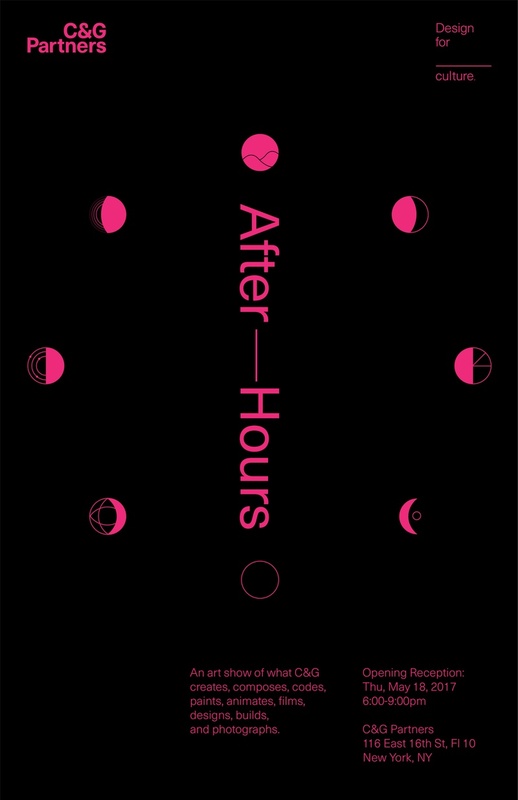 At the "After—Hours" opening reception in the studio one evening last week, art and art lovers took over C&G Partners as friends, family, and designers mingled over prosecco, charcuterie, and beats by DJ Keith Madden. 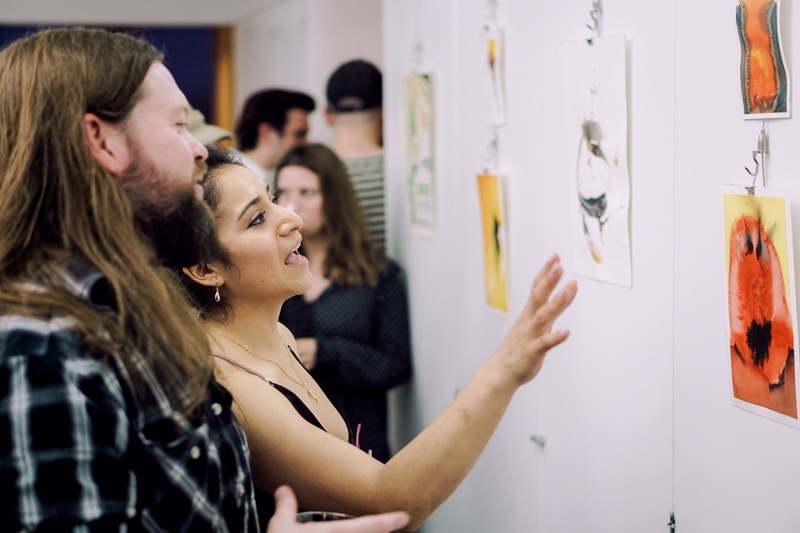 Whether it was animations and films in the conference room, watercolors hung on the closet doors, or immersive installations in the restrooms, all the art was created by C&G staff after hours, reflecting the multidisciplinary professionals that have made C&G their home. And did we mention the prosecco? 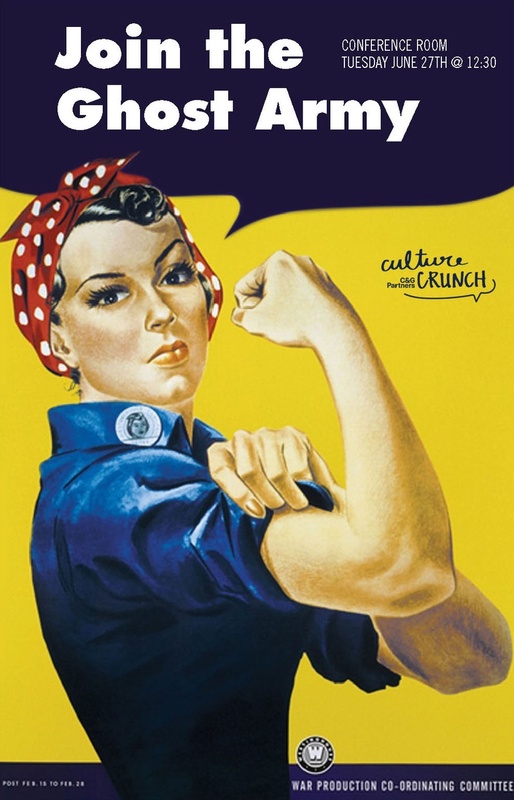 Culture Crunch is C&G's own internal monthly gathering that explores our mission: design for culture. 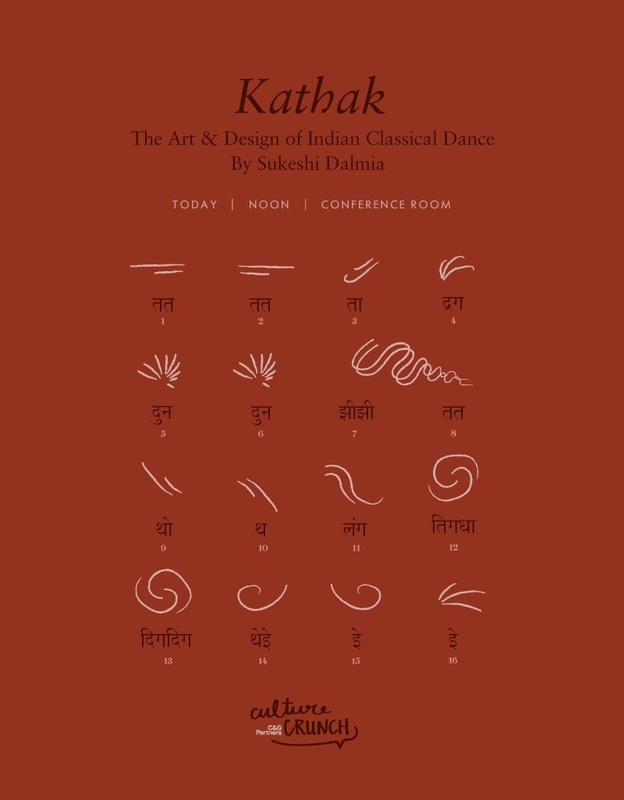 This month, graphic designer Sukeshi Dalmia demonstrated (in beautiful live choreographic form) how her cultural heritage — specifically her detailed training in the Indian classical dance form kathak — has informed her design process. Brava, Sukeshi!